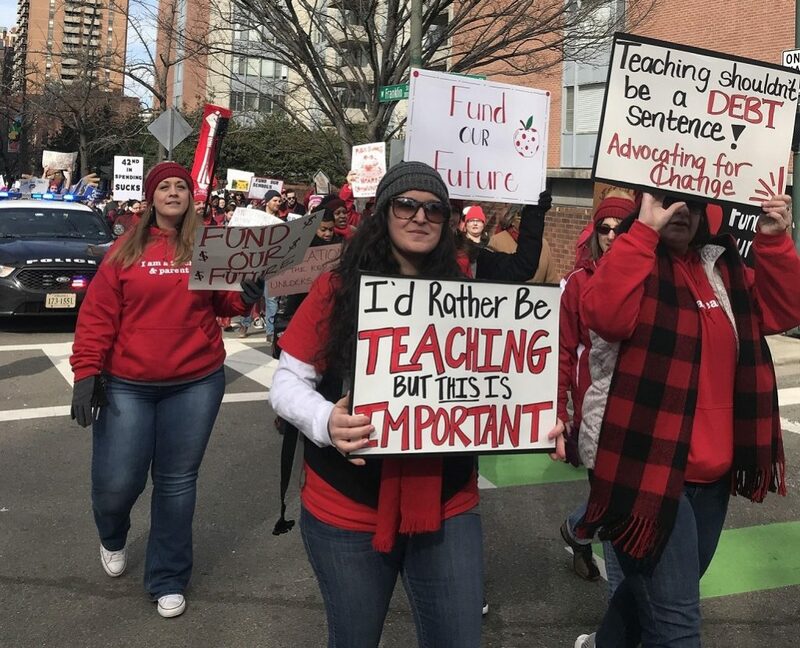 As hundreds of teachers and supporters from around the state marched to the Virginia Capitol to call for higher salaries and more funding for public schools, legislative leaders announced Monday that they would include a 5 percent pay raise for teachers in the state budget. Armed with red coats, scarves and signs, participants of all ages gathered in Monroe Park for a small rally. Then they marched to the Capitol as a girl riding in the back of a small red wagon used a microphone and handheld speaker to lead their chants. The marchers gathered on the Capitol grounds to hear community leaders protest what they see as inadequate funding for public education. Rodney Robinson, Virginia’s Teacher of the Year, said Amazon will receive nearly $3.5 billion in public subsidies from New York, Virginia and Tennessee to locate facilities in those states. 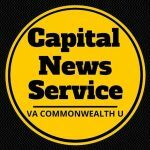 Virginia’s state government and Arlington County offered more than $570 million in direct subsidies and about $220 million in transportation improvements to entice Amazon to put an East Coast headquarters near Reagan National Airport in Crystal City. The Virginia Education Association, which represents the state’s teachers, organized the “Red4Ed” rally. The VEA says Virginia ranks 34th among the states in teacher pay. The average annual teacher salary in Virginia is $51,265 — more than $9, 200 below the national average, according to the association. According to the Richmond School Board, 1 in 5 educators must take a second job to make ends meet. Liz Holmes, a second-grade teacher at Greenville Elementary School in Warrenton, said she has not had a raise in 11 years. Holmes came to the march to express her frustration over the lack of “fair compensation” in her workplace. As the teachers held their demonstration, Republican lawmakers who control the House of Delegates announced that they would include a 5 percent raise for teachers in the state budget they plan to release on Sunday. Del. Steve Landes, R-Augusta, made the announcement in a speech on the House floor. The committee’s chairman, Republican Del. Chris Jones of Suffolk, said the proposed budget would increase teachers’ salaries without raising taxes. “Under conservative leadership in the House of Delegates, this will be the fourth teacher pay raise in the last six years,” he said. “I am proud of Chairman Jones and Vice Chairman Landes for the hard work and dedication they have shown to ensuring our teachers know how much they are appreciated in the Commonwealth,” said House Speaker Kirk Cox, a retired high school government teacher. Democrats are already on board with the 5 percent pay raise for teachers. In the two-year budget adopted by the General Assembly in 2018, teachers were scheduled to receive a 3 percent salary increase on July 1. In his proposed revision of the budget, Gov. Ralph Northam recommended awarding teachers an additional 2 percent raise. But Virginia teachers say that their salaries are more than 10 percent below the national average — and that the planned raise does not close the gap.